As the name suggests, this is a sworn statement form that is used by the naval department to ensure that its employees adhere to all the rules laid down by the government. Every person joining the navy is required to sign this. 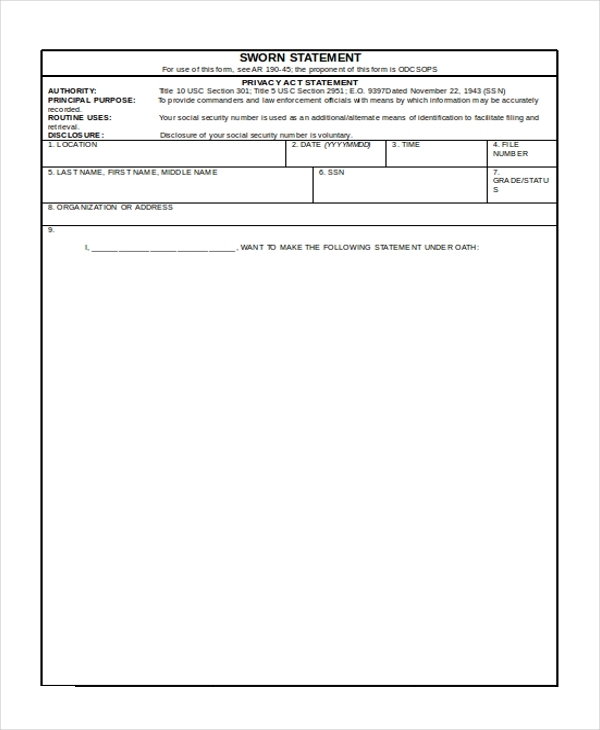 This form is used by the armed forces to ensure that the soldiers and officials follow all the regulations laid down by the department strictly. Once they sign this form, any misconduct or breaking of rules can actually hold them to contempt. 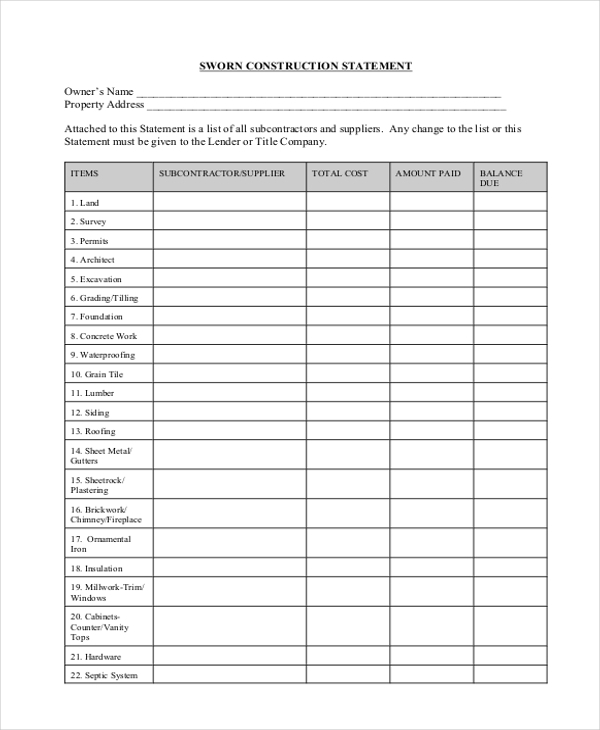 This sworn statement form is generally used by a financial agency or money lender who lends money to a construction agency for completing a project. The form comprises of all the details of the project and the terms of lending which the borrower is required to sign. 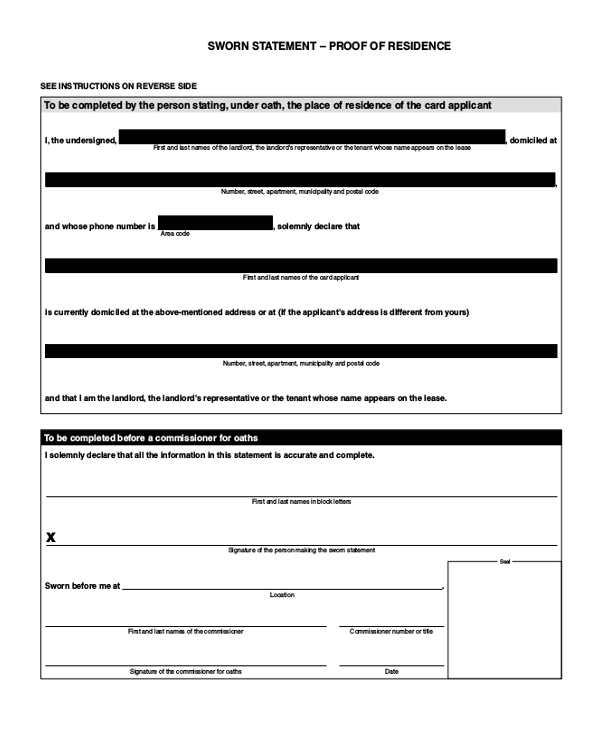 This is a sample of the personal sworn statement form that a party might use for his or her personal needs like renting out a property, offering a service etc. This form can be customized and then used to ensure that the other party sticks to all the regulations. 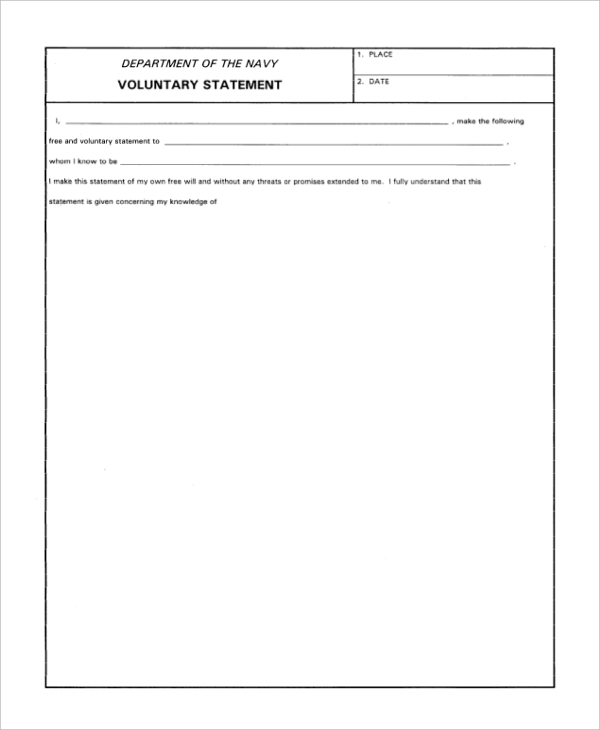 This is a form that is used by the organizations and government body who may want string residence proof from a party. By signing this form, the party agrees that the details of residence furnished are true. 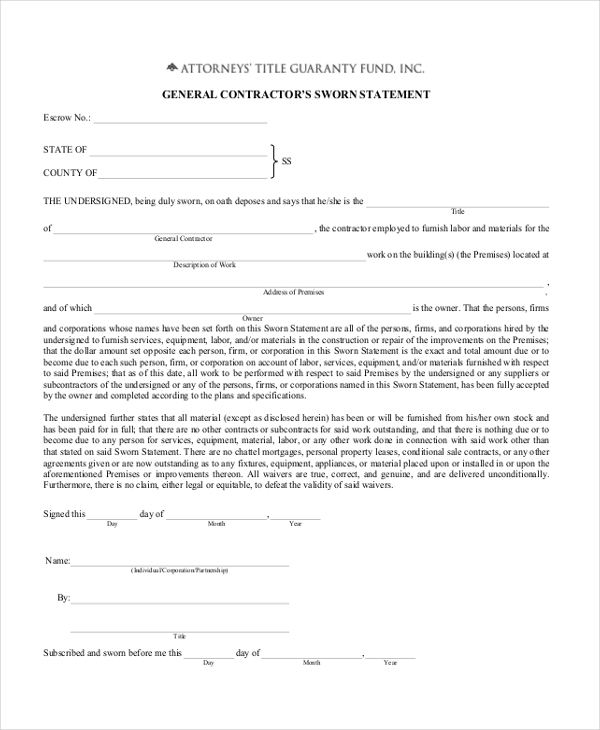 This is a form that is a general contractor provides to the party who renders his services for a particular purpose. The form includes the details of the sub contractors hired by him and other details of the work along with the amount the party needs to pay. 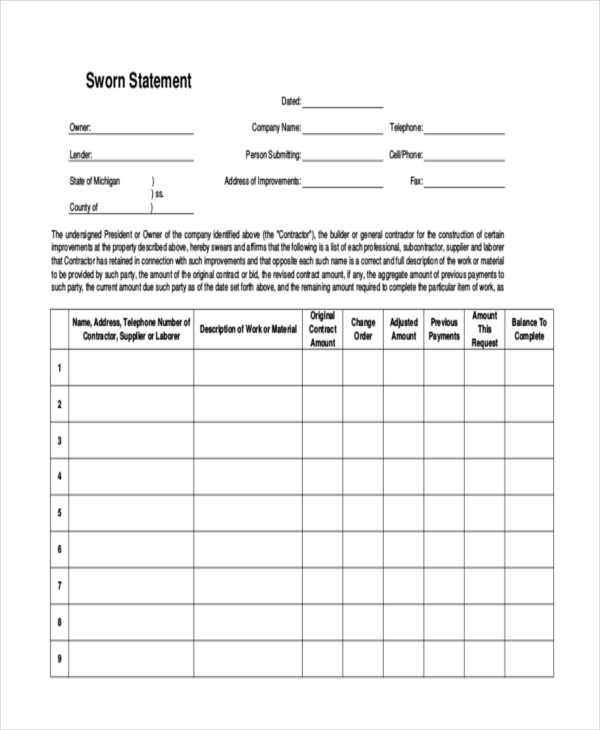 As is indicated by the name, this is a blank sworn statement form, which the concerned party can download and then customize as per the requirement. It comprises some of the key segments that such a form should have. 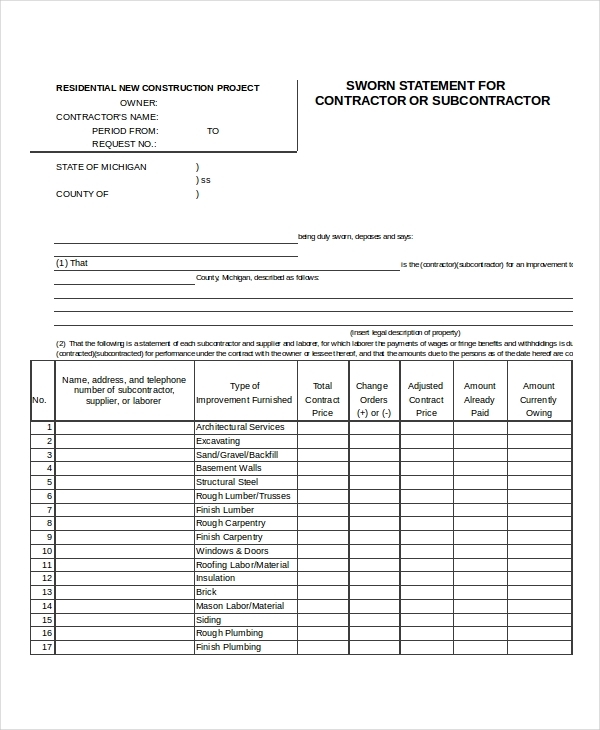 Generally used in the construction business arena, this is a sworn statement form that outlines the details of the work and the amount to be paid by one party to the other. This can be any person in the construction hierarchy. 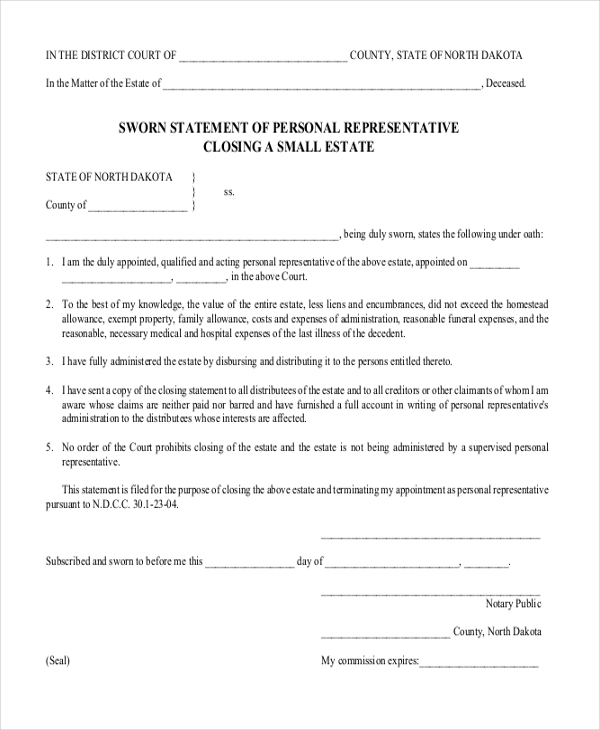 This sworn statement form is signed by a party usually when he or she is required to furnish the residential details in any given circumstance. Signing this form is an assurance that the details given are true. Sworn statement forms act as legal documents that can be used to ensure that the signing party follows the rules and regulations listed in the form. It is mainly used in various places where chances are legal issues arising is high. Making the soldiers to sign this form binds them to follow the regulations that are laid down by the forces. 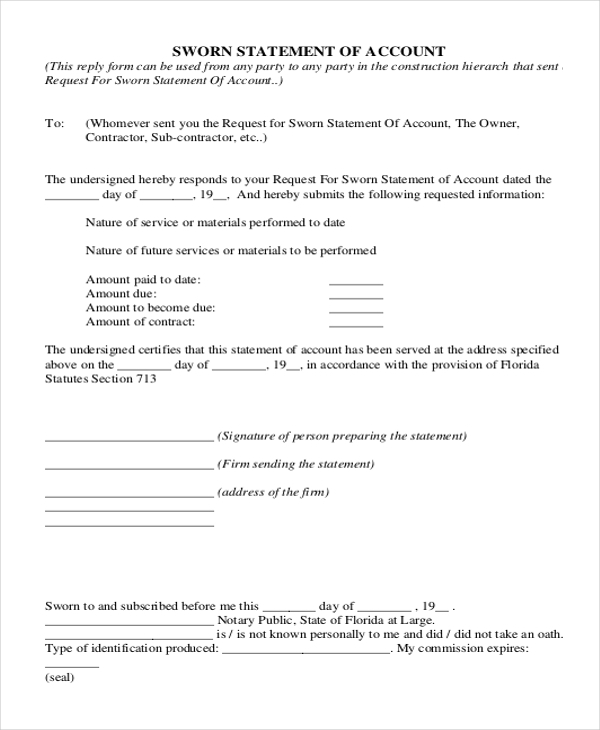 They use this form to ensure that the details furnished during a transaction are true. Signing these forms bind them as well as the parties they deal with to stick to the clauses that are decided. Most transactions whether legal or personal when carried out on word of mouth may actually lead to serious issues if a party deters from the word. In order to prevent this from happening, it is always advisable to sign a sworn statement form. By signing this form, the party concerned is bound to follow the regulations. Since this form comprises of all the details of the transaction, it also offers a firm proof of the clauses agreed on by the parties at the onset. How can you Write a Sworn Statement Form? Sworn statement forms can definitely come in handy in any given situation and can prevent any legal hassles and confusions from forming. Thus, using these is surely a wise decision. With a wide range of these forms now available online, drafting a perfect sworn statement form has become very easy.